I heard about this story back when it came out for the MMRomance Goodreads group event a few years ago. I’ve been wanting to read it since then and kept forgetting about it on my Kindle. So glad I dug the story out and read it. It’s so cute and sweet. I love how Bran figures out what Aidan needs for a relationship. He’s so willing to understand and research and be cognizant of Aidan’s needs to give their relationship a chance to start and grow. Aidan was a little prickly at first but you learn as the story goes on why he’s that way. I adored him and how he was willing to listen to Bran and take a chance on something completely different. The story is a quick read and so fun. I truly enjoyed it and loved the happy for now ending. They are definitely going to make it but are still just starting out. I know there’s a sequel already out so hopefully that’s just as sweet and cute as this story. 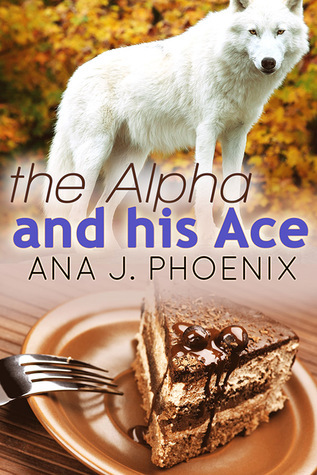 This entry was posted in Reviews and tagged Asexual, Author: Ana J. Phoenix, Gay, HFN, M/M, Molly Reviews, Paranormal, Rating: 4.5 stars, Shifters, Short Story. Bookmark the permalink.